Today, we’re happy to be able to unveil a special bottling selected by and exclusively available through Nonjatta. It is the first in a series of Japanese whiskies featuring artwork taken from the last great ukiyoe artist Yoshitoshi’s final series of woodblock prints “New Forms of 36 Ghosts” (1889-1892). For our first bottling, we chose a rather atypical Karuizawa from the 1996 vintage. Cask #3681 was, in fact, one of the last from this vintage. It was carefully selected from the remaining stock – from the late 70s up to the final vintage, 2000 – and the moment we nosed it, we knew this was something special. 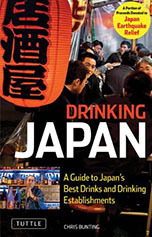 People have come to associate Karuizawa with bold, robust, oily, richly fruited whiskies. This bottling shows a different side of the distillery character: light, elegant and subtle. It’s unlike any other Karuizawa you’ve ever tasted, and that’s precisely why we picked it. On the nose, you get a wonderfully subtle amalgam of soft fruity notes: strawberry fruiche (a Japanese kind of home-made flavoured yoghurt), apricot butter, melon hi-chew, tinned peaches, dried pineapple and in the background, heather flowers and a hint of marjoram. The palate has some lovely surprises in store: pink grapefruit most prominently, but also apple sauce, peach jam and gooseberries. But there’s more: kashiwa mochi (a Japanese sweet rice cake wrapped in oak leaf), baked alaska, pencil shavings, and a hint of sudachi (a Japanese citrus fruit) and pink pepper. The finish is long and lingering… and well, modesty precludes us from raving too much about it, but it truly is a small miracle. The label, as mentioned above, features a woodblock print from Yoshitoshi’s “New Forms of 36 Ghosts”. The series captures moments – episodes involving ghosts and/or unnatural events - from Japanese legends and folktales and shows a time when the spirit world was much closer to the consciousness of people. Our Karuizawa 1996 features print no14: “The Enlightenment of Jigokudayu”. “Dayu” was a term of respect for the highest rank of courtesan, but “Jigoku” (literally, “hell”) was a term for the lowest rank of unlicensed workers in the pleasure quarters of those days. 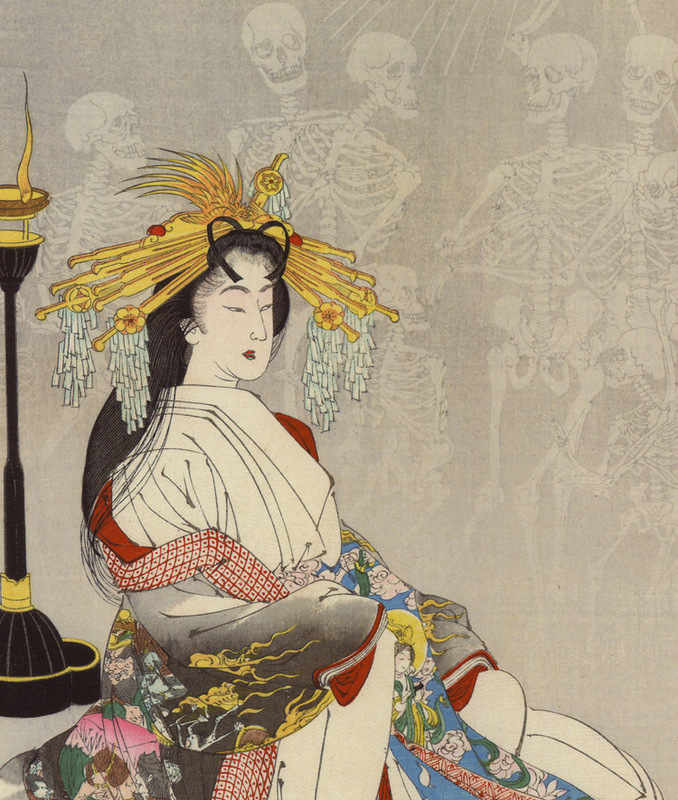 Having abandoned her earlier life and ways, “Lady Hell” is portrayed here sitting in meditation as a procession of skeleton courtesans – including two child skeletons, the courtesan’s child attendants – passes by her. We like to think there is a certain resonance between aspects of the print and the character of the liquid in the bottle. These sort of resonances will be further explored in subsequent bottlings and we invite you to join us in this project. There are 35 more prints, and it’s our goal to find the right Japanese whisky to “go with” each and every one of those prints. But let’s not get ahead of ourselves - back to our Karuizawa 1996: it’s available from our friends at Malt City via this exclusive link. The cask only yielded 140 bottles, so there is a limit of 1 bottle per customer. We are often placed in a sort of “don’t shoot the pianist”-position when we share news of exciting new releases coming out of Japan. Many of them are hard to get for our readers abroad; some are already gone by the time we report on them; others are prohibitively expensive. It therefore fills us with happiness to be able to finally present something that is available, first of all, to you. Bravo Stefan, great initiative ! I just ordered a bottle, seems to work smoothly. "Bravo Stefan, great initiative ! Can't wait to try it..."
Thanks very much for your kind words and your support. We really do appreciate it. Enjoy the whisky... we think it's fabulous. We hope you do, too! Looks great! Just ordered one! Stefan, can you tell us whether it is non chill-filtered and without addition of caramel colouring? Thanks for your support, Rogier and good question - I just take these sort of things for granted, but you're right, I should have made it clear that this is straight from the cask - just barrier filtered (to remove bits of wood, obviously) - with no chill-filtration and no colouring whatsoever. I wouldn't dream of putting stuff of this calibre out unless it's NC & NC (non-chillfilitered, non-coloured). I have been reading about all the previous releases and it was frustrating that we could not buy but now it is fantastic that we had the ability to do so. Very keen to hear what you have planned in the future..
Btw, do you now have a better idea of how many Karuizawa casks are left? Thanks very much for your comment. We've got some pretty incredible stuff planned for the future, and will be traveling all around the country in March to make it happen. As far as the number of remaining Karuizawa casks is concerned - yes, I do have a clearer picture now of the situation. I can't say too much without breaking promises - let's just say there are fewer than I thought, which makes them all the more precious. so happy to see a new release which is not available when i want to order. placed my order at malt city and they confirmed shipping to germany. thanks so much and looking forward to your other planed releases !! Thank you so much, Wolfgang. 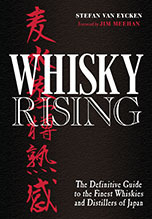 This was one of the main reasons we decided to start this series: to make top quality Japanese single casks whiskies available to our readers, who share our enthusiasm for Japanese whiskies but don't always have easy access to them. We've got some exciting things planned, so keep an eye on Nonjatta! You won't be disappointed - I can assure you! Is there US shipping? If so, does anyone know how much? The USA is one of the few places on earth, they can't ship to. Because of the legislation there. Well those 140 bottles didn't last long! Unfortunately it eventually costed me about €180 = JPY 23,129 after tax and handling where added. Sorry to hear that. Unfortunately, that's something Malt City has no control over. When I get bottles sent TO Japan, 1 or 2 bottles (and often as many as 6 bottles) are usually not taxed at all, but it depends on the provider. For example, when I order from LMdW, I always have to pay tax - for some reason - and an extra handling fee. Anyway, I'll pass on this information and see if there's something that can be done to avoid that. It's scandalous that shipping, handling and extra tax is almost as much or more than the actual whisky. Well, although the label states "No commercial value for customs purpose only." It also shows "Collectable Glassware" and "Total Value 12600 Yen". But then without this, it could have been opened and valued..... I am still glad to have this one and first bottling ! I'm a relatively new whisky lover who finds your posts very entertaining and enjoyable to read. ABout this bottling, is it still available? And through what channels? I'd love to try it. No, unfortunately this bottling is not available anymore. It basically sold out the day it went on sale. But keep an eye on our website... we have a second release out now (this will be offered as a lottery!) and there's still time to register. And we've got more stuff in the pipeline.